Dario combines a simple-to-use glucose metre that plugs directly into your smartphone and a disposable test-strip cartridge and lancing device with a cutting edge, personalised software application that automatically logs and tracks blood-sugar levels, shows you how sugar levels change and provides actionable insights and alerts. Pulse is a tiny fitness tracker that comes with a pulse reader. Press your finger on the back of the device, wait a few seconds and your pulse is displayed on the screen. Pulse automatically syncs all the fitness data to your smartphone and is available on both Apple and Android phones. The data is searchable, and you can view it in easy-to-read graphs showcasing your daily progress. The tricorder used by Dr. Leonard McCoy in Star Trek is about to become a reality with Scanadu Scout, a medical scanner packed with sensors that enables anyone to conduct sophisticated physical exams in a snap. Simply place the Scanadu Scout to the forehead, and, within 10 seconds, it can check your vital signs such as heart-rate, temperature, blood pressure and respiratory-rate; run an electrocardiogram; and detect oxygen levels in your blood. Readings from the Scanadu Scout are sent to your smartphone via Bluetooth for analysis. Anyone with health issues and parents of kids with chronic diseases will find this especially useful to monitor their vitals. In the crowd of fitness trackers, Garmin Vivofit stands out for one very important feature: a user replaceable battery that lasts up to one year at a time and frees you up from recharging your tracker every few days. Like other trackers, Vivofit monitors your physical activity and sleep patterns. But, what it also does is display time on its grey-on-black LCD screen that always stays on. 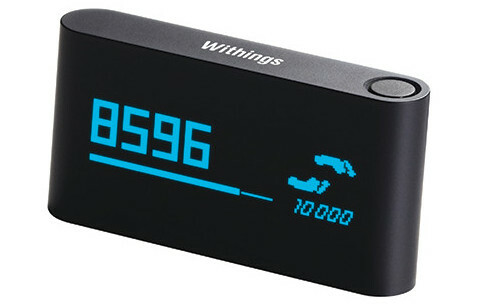 There are blood pressure monitors and then there is the Withings Smart Blood Pressure Monitor that measures and uploads your readings to an iPhone, iPad, or iPod touch and graphs trends over a period of time. Simply slip on the cuff, turn on the wireless blood pressure monitor and the Health Mate app will automatically launch, record, analyse and share readings with your doctor. The Jawbone Up is a wristband with sensors that track steps and physical movement to calculate an estimate of calories burnt through the day. It also monitors hours slept, your light and deep sleep and waking moments and comes with a smart alarm that will wake you up at the right moment in your sleep cycle so you wake up feeling refreshed. A beautifully designed app, the Jawbone UP24 is available on both iOS and Android and is very helpful if you diligently enter the data it asks for. You can track your mood, log what you eat, monitor every move and discover hidden connections and patterns in your day-to-day activities. The comprehensive foods database allows you to upload photos of your food, scan a barcode of the food wrapper or browse the image gallery to record what you eat and drink. Up then calculates the calories you’re taking in, as well as those you’re burning. 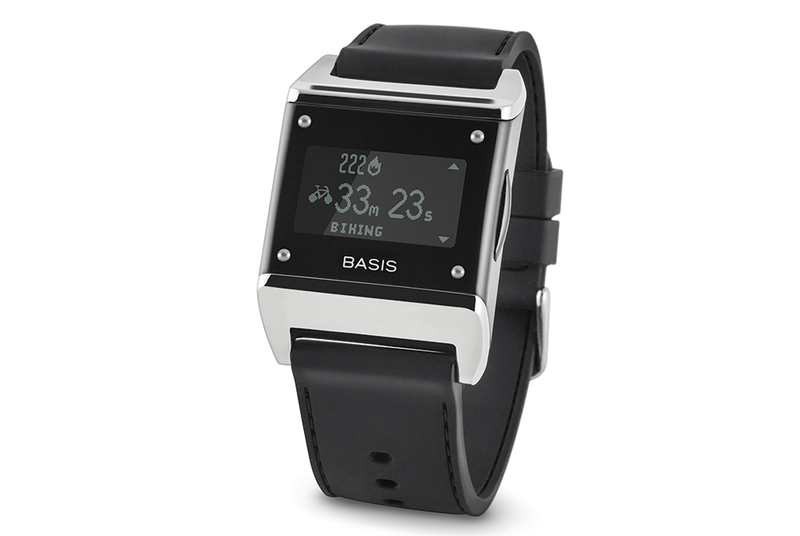 Probably the most feature-loaded fitness monitoring device in the market today, Basis uses four types of advanced sensors to calculate various health metrics. Worn around the wrist, it features an optical blood-flow sensor that captures your heart-rate, a three-axis accelerometer that detects your body’s movement to measure activity and sleep quality, a perspiration monitor that gauges workout intensity through changes in sweat-level, and a sensor that measures how much you’re exerting yourself by comparing your skin temperature to the ambient temperature around you. You can view some basic metrics on the band’s screen itself, but for personalised insights into your routine, log in to the dashboard to automatically track your activity levels (duration, steps taken, calories burned), sleep stats (duration, times awoken and sleep quality) and even your resting heart-rate. The Fitbit Aria Wi-fi Smart Scale tracks your weight, Body Mass Index (BMI) and body fat percentage, and automatically syncs your stats to Fitbit.com, on which you can see graphs and charts that monitor your weight. Aria recognises up to eight individual users, so you can invite the whole family to use the scale and it won’t get confused. Asthma among children and the elderly can be particularly tricky to manage, and patients can greatly benefit from regular monitoring of symptoms. Enter AirSonea, a portable wheeze monitor that helps you track symptoms and manage your asthma. Place the AirSonea sensor on your chest, where your windpipe (trachea) is, and breathe normally through an open mouth for a five-second test, followed by a 30 second ‘wheeze-rate’ measurement. The data retrieved from your wheezing is sent to your phone to record breathing patterns. Tinké is a health monitor that measures heart-rate, respiratory-rate, blood-oxygen saturation and heart-rate variability. This tiny sensor plugs into an iPhone or connects via Bluetooth to an Android phone. All it takes is a touch of your finger to give you detailed readings of your body.